It’s been nearly 6 years since I released v1.0 of Top 10. 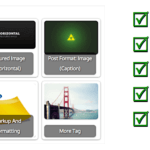 What started as a simple plugin to track your popular posts and display your top posts has evolved into one of the most popular “popular posts” plugins for WordPress used on thousands of blogs today! Versions between 1.0 and 1.9.10 have added support for thumbnails, custom post types, custom styles and more. Today I unveil the latest, the greatest and the best version of Top 10 – The Popular Posts plugin for WordPress. v2.0.1 brings long pending support for WordPress multisite, better site compatibility and tracking, a cleaner admin interface and support for addons as well as some miscellaneous bug fixes. v2.0.1 also fixes a major bug that broke sites upgrading to v2.1. The upgrade is available for all users from with your WordPress Admin. Remember to empty your caches from plugins like WP Super Cache to ensure that the new tracking scripts are added to your pages instead of the old tracking script. If you’re using Cloudflare, I recommend activating the Cache Fix in the settings page. Here is what is new in Top 10 v2.0.1. You spent a lot of time trying to activate the plugin on each of the blogs! v2.0.1 brings true multisite support. You can now Network Activate your favourite popular posts plugin a.k.a. Top 10 and it will be activated across all the sites. 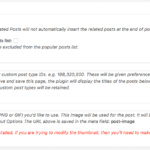 You will need to deactivate the plugin on your individual blogs first. Once Network activated, Top 10 will only use the master table to save hits for all blogs. Each posts hits are tagged with the respective blog ID. If you’re already using Top 10 on your existing multi-site installation, please visit the Top 10 Settings page, scroll down to the bottom and import the counts from the individual tables. I had blogged earlier that I will soon be removing timthumb support in my plugins since it is no longer supported by the author. In this version, timthumb is disabled by default and in the next version, I will be completely removing any support for timthumb. You will still be able to use timthumb, but you’ll need to host this on your own. You can now choose from existing image sizes above or create a custom size. 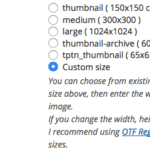 If you have chosen Custom size above, then enter the width, height and crop settings below. For best results, use a cropped image. If you change the width and/or height below, existing images will not be automatically resized. I recommend using Force Regenerate Thumbnails or Force Regenerate Thumbnails to regenerate all image sizes. Ever since the first version, Top 10 has tracked hits on a daily basis. Tracking daily hits meant that at midnight you would see your daily popular posts list disappearing. You could work around this by setting the custom time period to 2. Another issue with high traffic blogs is that a day is just too long! With hourly tracking now enabled by default, you can set the custom time period to a multiple of an hour. Now, 1 day is truly the last 24 hours and not the time period from midnight. In this version, I have also broken away from the current layout of the various settings to cleaner and more organised categories. I’m hoping that this categorisation would eliminate any obvious confusions on what each setting pertains to. Check out the screenshots. This version has a fully filtered mySQL query similar to WordPress’ main query. This allows for simple and .maybe complicated functions to tap into the various mySQL clauses to manipulate the Top 10 query that is used to pull up the popular posts. 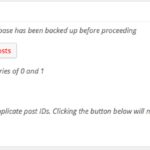 The current version also has several new actions and filters across the plugin, both in the frontend and the admin pages. Use these to add some new features that are missing. With v2.0.1, Top 10 is ready for the next phase of its development. Over the course of the next year, I plan on adding several free and premium addons that will bring additional features to Top 10 including caching, support for BOTs, cleaner top view pages and more. Top 10 will also find it’s new home on a blog dedicated for my plugins, primarily Contextual Related Posts and Top 10 and all their many addons. It will also serve as a market place for all premium addons. I’ll also be creating a full fledged knowledgebase that should serve as the first reference point for any user of Top 10 or any developer hoping to create addons to extend the functionality of the plugin. If you’re a user of Top 10 or a developer, your support is vital for Top 10. Top 10 source code is available on Github. If you’ve got an idea for Top 10 and know how to implement this, fork the plugin and send me your commit request for review. If you believe Top 10 has been serving you well, do consider donating towards its development. Currently, donations are the only funding that the plugin receives! The easiest way to do so is right from the Top 10 settings page or hit the button below. You can also leave a good review or just tell your friends about the plugin. Please use the support forum if you have any questions regarding the plugin or would like to report bugs. I have installed in on my website. I found it to be useful plugin. Thanks Ajay.